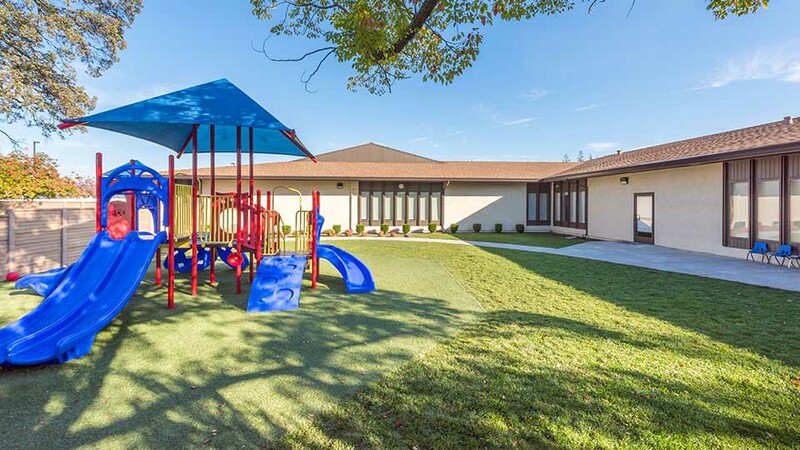 A vacant car insurance claims center in Roseville, CA was transformed into a private school for Kindergarten through Eighth grade. 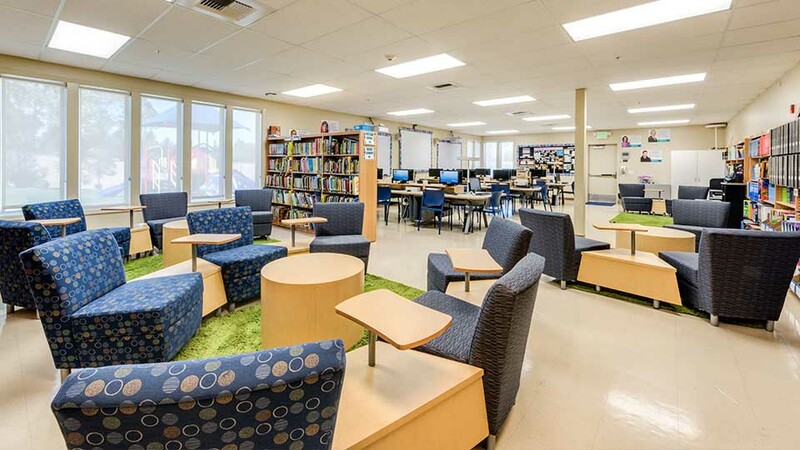 Aiming to salvage as much of the existing building as possible, the design team was able to configure classrooms around the existing core plumbing and window locations. 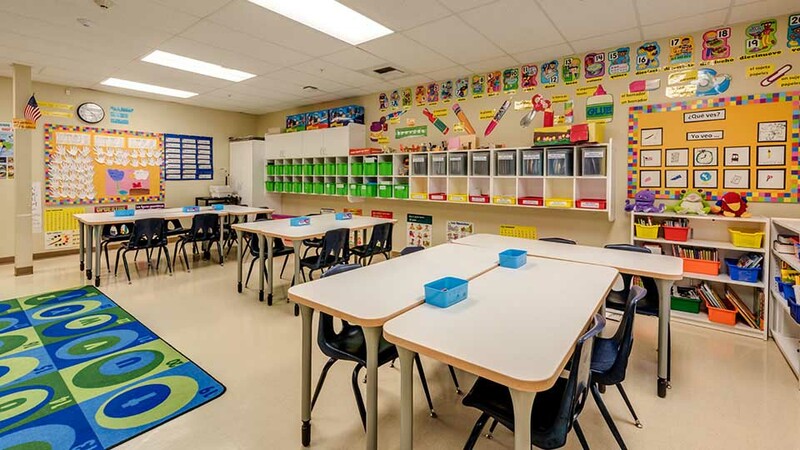 The open configuration of offices was ideal for adapting to individual classrooms along a corridor spine. Original adult restrooms remained in place. 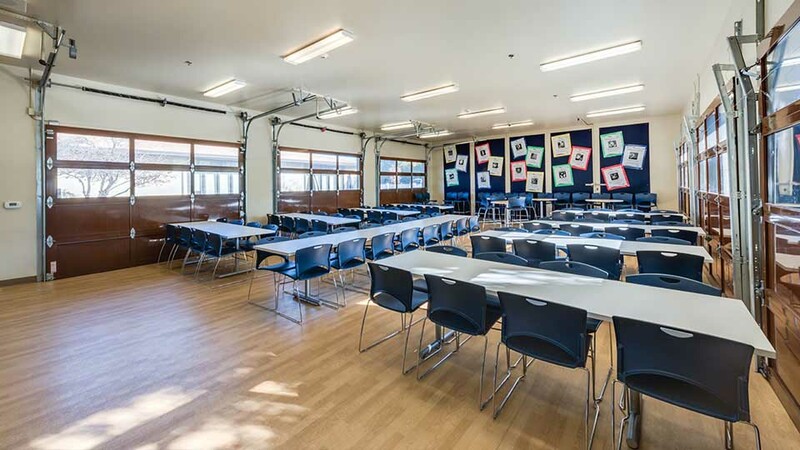 Vaulted open space of the original car service bays was transformed into a cafeteria featuring windowed garage doors that can open up the entire façade to an outdoor courtyard for students. Allowing the students to have indoor/outdoor dining at lunch when the weather is pleasant. The doors roll down from the ceiling of the double-height space to seal off the interior when required. The glass surfaces of these structures ensure they receive plenty of natural light from the transparent wall. 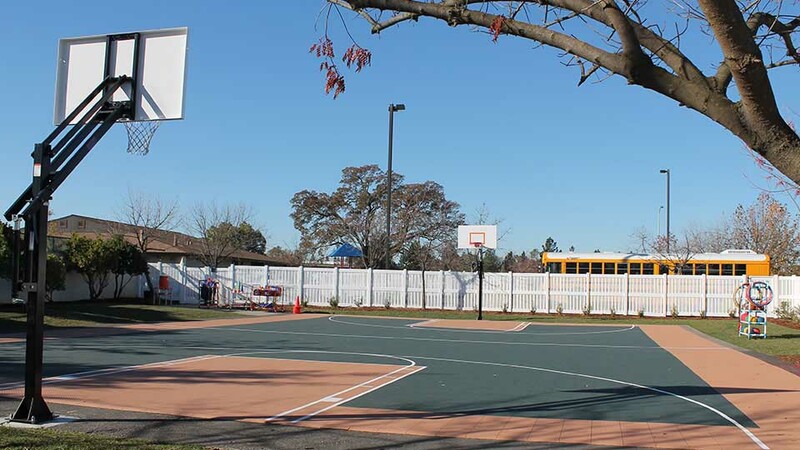 A perforated surface basketball court was applied over the original asphalt parking and storm drainage system. This surfacing material reduces stress on joints and reduces downtime resulting from rainy weather. The sport flooring was shimmed up to create a level surface over the sloping lot and allow rain water to flow freely underneath. This prevented the need to demolish a large portion of the existing parking lot. 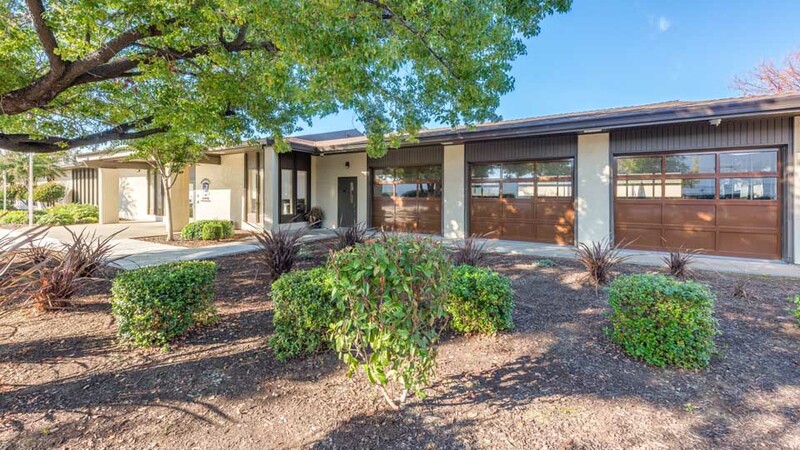 Leaving the original surface and storm drainage in place, we were able to save the costs of involving Civil Engineering to recalculate and grade a new drainage system.